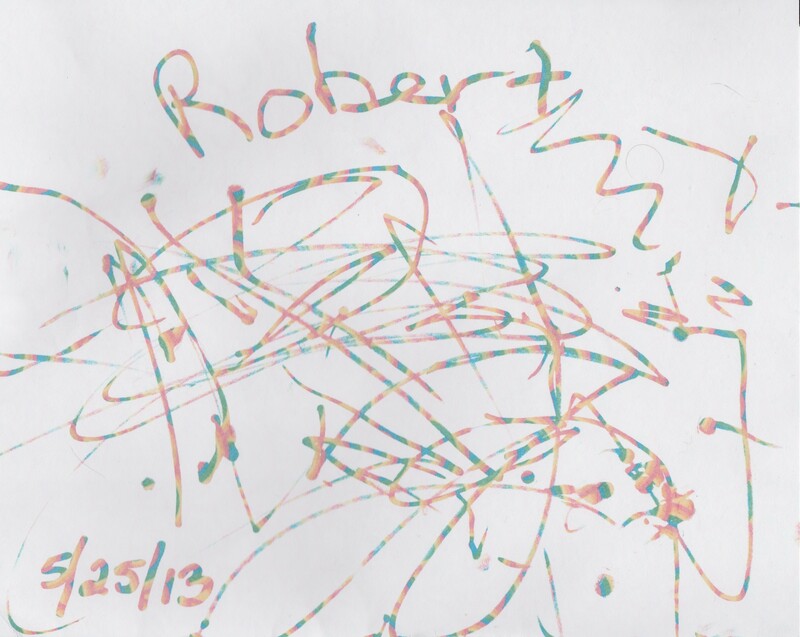 I got Robert the My First Crayola Mess Free Marker & Paper. It is a cute little cow marker that he can put in his palm of his hand. He was able to manipulate it across the page with ease. I was a little disappointed with the lack of durability of the product. He is 16 months old and at the smashing stage and even after working with him to be gentile he liked the spots the marker made when smashed. When he smashed it the tip went up into the cow and now only a small tip remains. The fact that the marker will only mark on special paper is wonderful. Our biggest issue when we go out to eat is that Robert likes to try to color on the table with crayons. The Mess Free Marker and Paper fits in his diaper bag and helps distract him while we wait. he has fun and we don’t have to try to remove crayon marks before leaving. Because the tip is smashed in so easily I give the value only 3 stars as it will need to be replaced sooner than it dying a slow marker death. Crayola offers free Coloring Pages that can be printed on a home printer.